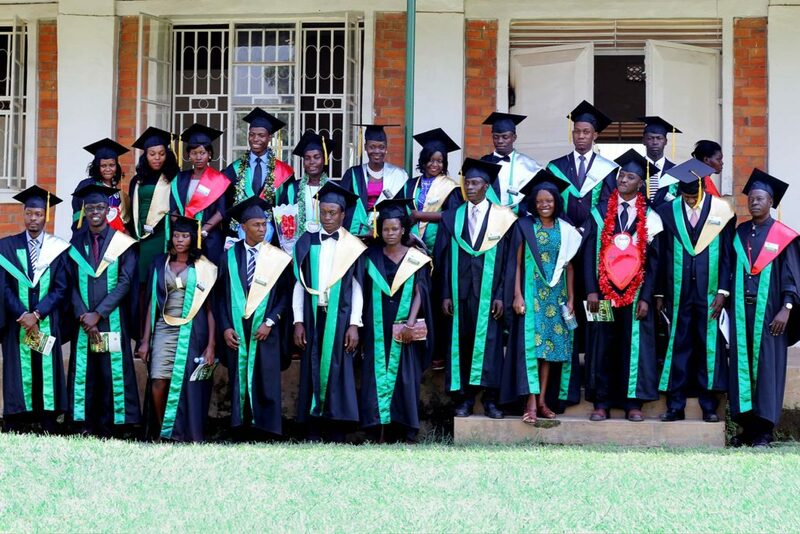 The LivingStone International University second Graduation ceremony took place on 11 June 2016, the event was held in Mbale at the University main ground in the University Chapel. 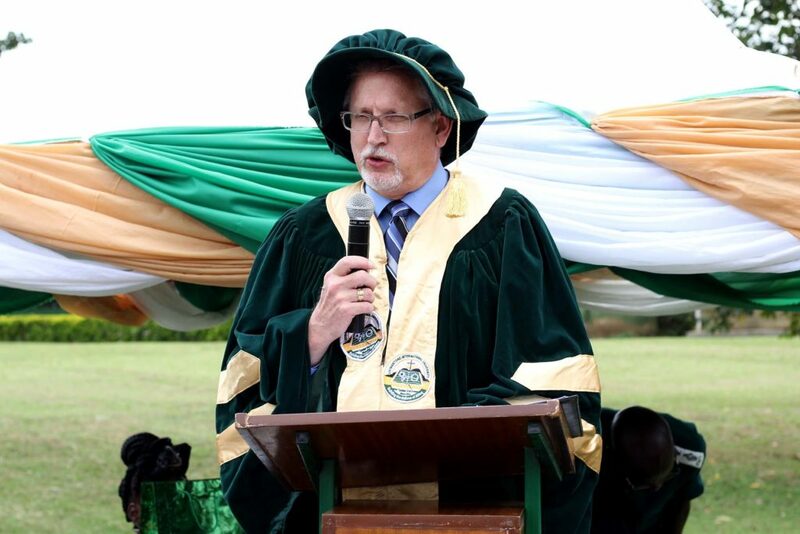 The event marked the conclusion of studies for 21 students at LivingStone International University. LIU Graduation event includes the commissioning service Academic Procession and the awarding of honorary degrees. The LIU 2nd Graduation started at 8:00 A.M with the grand message from the Chancellor Shawn Paul Tyler followed by the Vice Chancellor; In His Service, Prof. Richard E. Trull, Jr. Ph.D.
“There was so much attention and excitement concerning LIU’s first graduation that some may think the second graduation could be overlooked. Not so! The development and growth of LIU and the students who graduate must remember our race is not a short sprint but a long distance relay race. This means each year the graduating seniors must pass the baton to the next class as they go out and begin careers. The reputation and success of LIU will be measured by the quality of each year’s graduating student body, not just the first. We all know how important it is for each runner in a relay race to do his or her part in order to reach the finish line. It is time for our second graduating class to successfully step up, hand off to the next class, and then go out and be representatives of LIU as model citizens, family members, empowered employees of integrity, and as faithful witnesses for Christ. I am proud of LIU’s growth and accomplishments in the past year. Our first graduation was followed by a record enrollment of more than 70 new students. “We send you out in the peace of God and pray for you to represent Christ as His disciples who are sent out into the world. Go well, live well, serve greatly, and glorify God in your life!” In His Service, Prof. Richard E. Trull, Jr. Ph.D. The event continued with the commissioning service, led by Pr. John Michaels Ekudu-Adoku, Sermon by Pr. 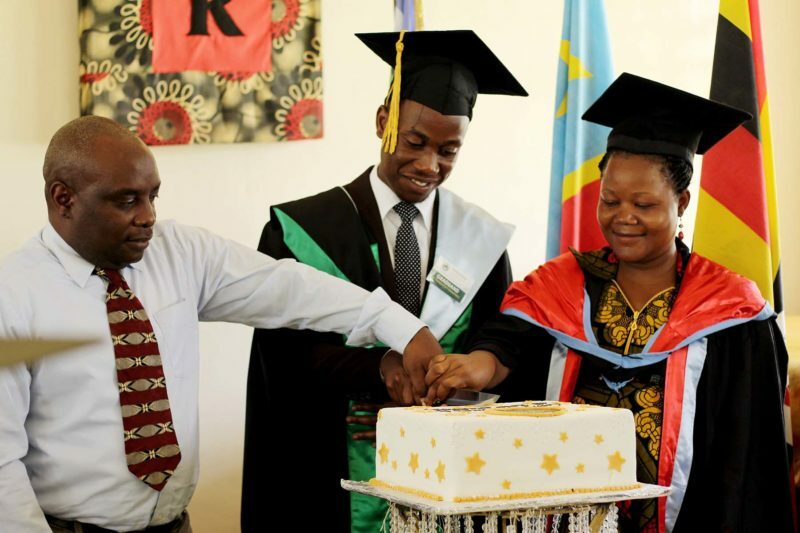 Erick Tuninga, Cutting the Cake and finally the Academic Procession where Graduands received Degrees from their respective Faculty Deans. 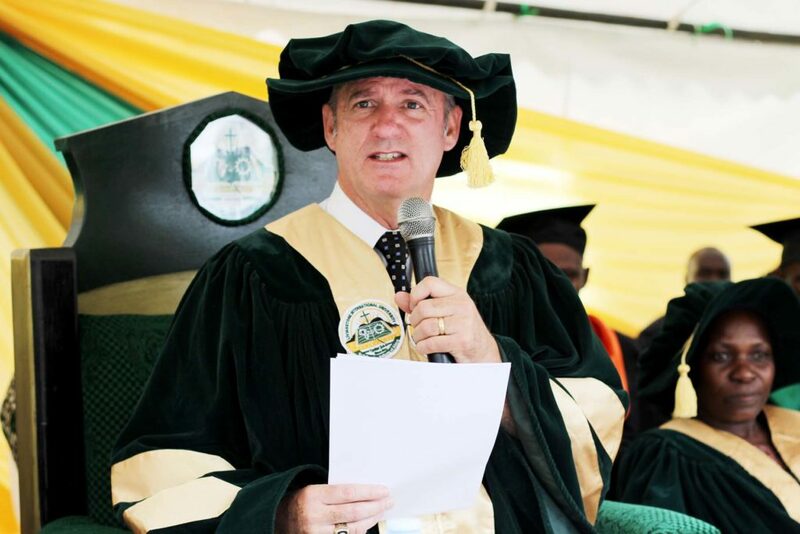 The Guest of Honor Was Prof. Opuda-Asibo John, Executive Director of National Council for Higher Education. 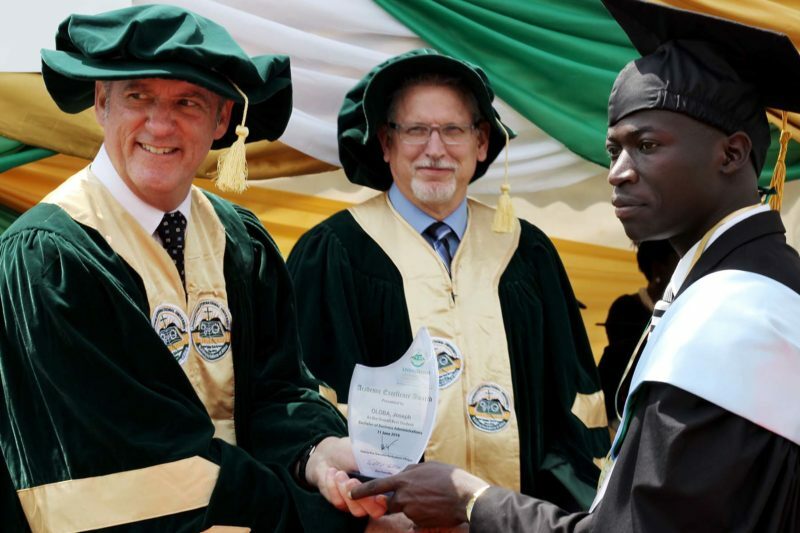 He encouraged graduates to effectively utilize their awards and skills to lead transformation of their communities. “Go and be agents of transformation in society and ambassadors of LIU. The best way to inspire change is to lead by example. 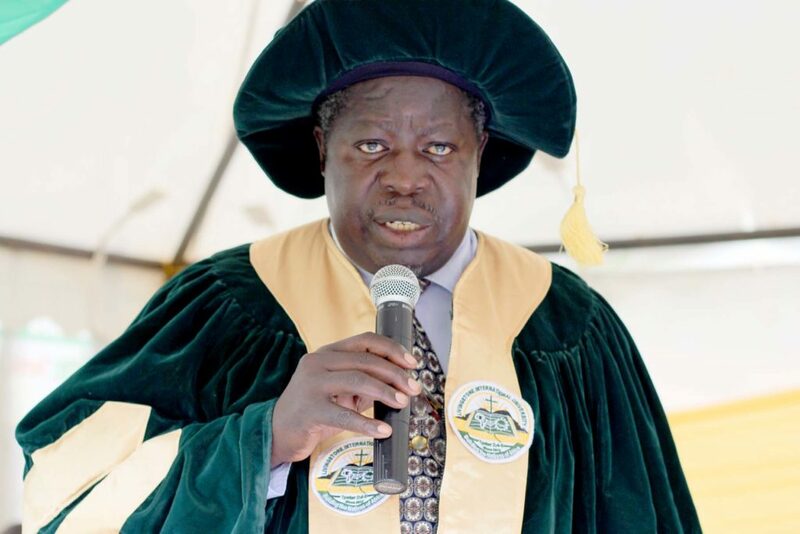 People will believe you more if they see you practice the good deeds that you preach based on your knowledge, skills and attitude.“ Prof. Opuda-Asibo added. The chief guest was Hon. Namuyangu Kacha Jenifer Woman MP, Kibuku District, she advised graduates try to adjust emotionally, keep out of trouble and if faced with challenges, to remember that God love to them is unconditional, and will always help through ups and downs.